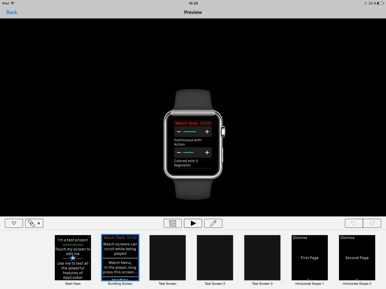 Mockup + wireframe iPhone, iPad & Apple Watch. 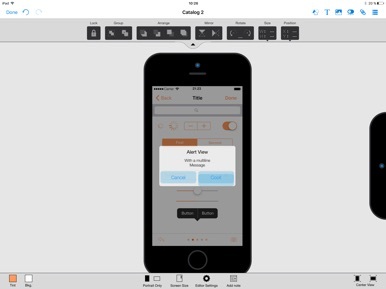 Share clickable prototypes through AppTaster, the free companion. -Overall screen view with connections, export PDF Map. -Add notes to any of the screens. At the crossroads between creation and technology, AppCooker makes a synthesis between those two worlds often kept apart, thus delivering a complete, mobile and accessible solution. The goal: to be able to test an idea for a mobile application in all of its aspects — concept, graphic design, interactive mockup, business plan —, quickly and without coding. AppCooker celebrated its first anniversary on May 31, 2012. AppCooker was born from the idea that single task oriented software — i.e. word-processing, spreadsheet or design programs — is bound to step aside in favor of multitask programs, more efficient and better adapted to the objectives of specialized users, whose projects are binding in terms of time, money, marketing strategies. While gathering all the actions necessary to conceive mobile apps in one single place, the designers kept in mind every experience they’d had as users, in order to correct them. Everything they hadn’t been able to do whilst passing from one program to another would be possible, all the wasted time would be spared! Today, the users — who amount up to thousands — are still those who contribute to improving AppCooker through its updates, thanks to their suggestions and constructive feedback. 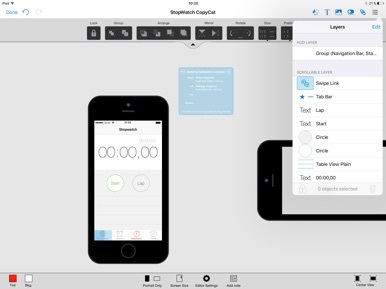 AppCooker’s mockup editor gathers all major graphic design tools: vector shapes, text, bitmap drawing, icon library, images, and all of the UI elements for iPhone and iPad (bars, buttons, objects, etc.). 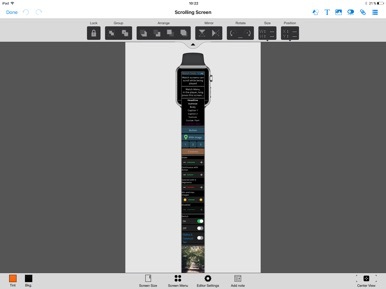 Screens can be linked together with the usual mobile apps linking tools. All of these features allow professionals as well as eager amateurs to end up with an interactive mockup that is visually very close to the final application, in little time and without having to type a single line of code. 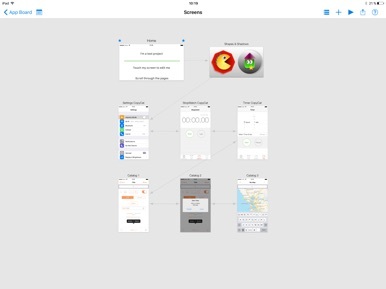 While the mockup editor is AppCooker’s star, the other fields aiming at refining the original idea, the icon, the business plan and the presence on the App store are not anecdotal. They are easier to use than mainstream programs (i.e. Word or Excel) because they are made especially for the creation of mobile applications: they integrate all of its peculiar constraints.